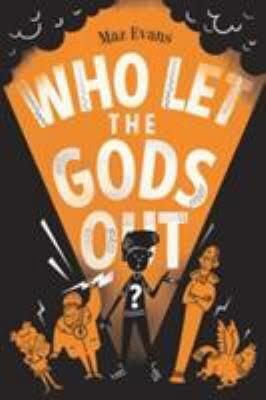 Who Let the Gods Out? by Maz Evans is a treat. A real treat. I hooted with laughter, gasped at the villain’s antics and almost wept for Elliot, the really reluctant hero. Maz Evans has been a big supporter of Inkpots on Twitter over the past few months and so it was really brilliant to get hold of an advance copy of her new book (thanks so much lovely people at Chicken House Books). As we all know, sometimes when we’re looking forward to something a lot, it can often be a disappointment. But not with Who Let the Gods out? Maz has created a wonderful array of amazing characters who charge into Elliot’s life – I particularly liked Hermes. But there are so many others who are woven into the story of a young man who is desperately trying to look after his very sick Mum, raise enough money to save the family home and keep prying neighbours and evil school teachers at bay. Then he goes and bumps into Virgo, unleashes Thanatos the evil Daemon of Death – and ends up with Zeus himself plus a whole host of other gods camping in his back yard. This is a rip-roaring, galloping adventure which is wonderfully funny with some cracking one-liners; but all the time there is the sadness of a boy trying to care for a sick parent day in, day out. I would recommend this wonderful books to children and adults alike – there is something here for everyone.